The Rise of Data and Predictive Analytics: Technology is headlined by data’s growing role in the every sector, device and process. The consumer is moving beyond simply receiving consumer information on a website to being engaged in new modalities, including information-on-the-go, wearables, personalized infotainment, apps and more. According to a report by IDC, the world will generate 50x more data in the next decade, from external and internal sources; structured and unstructured. Its critical to keep it easily accessible and scalable across teams and geographies. Data gave rise to Predictive Analytics which has been around at least since we know of weather forecasting. Today, almost all businesses across industry sectors, whether small or big, are able to extract benefits from usage of Predictive Analytics. While Airlines analyze bookings data to predict sales and pricing, financial analysts analyze earnings data to predict potential revenue growth. Digital data is expected to more globally double every two years. About 90% of the data currently generated is unstructured. In a few years about 80% of the information that companies could come from external sources. Organizations have to act fast, with improved skills, organizational vision and more secure and scalable processes and services. This intelligent automation of services, technology and people is dependent largely on cloud that integrates existing technology and multiple systems for single unified view of the data. From crew assist technologies and infotainment to mobility, organizations optimize “on-demand data” in the movement of people, experiences and services. Imagine this: Pharmaceutical cargo today can be tracked in real-time, with temperature notifications. 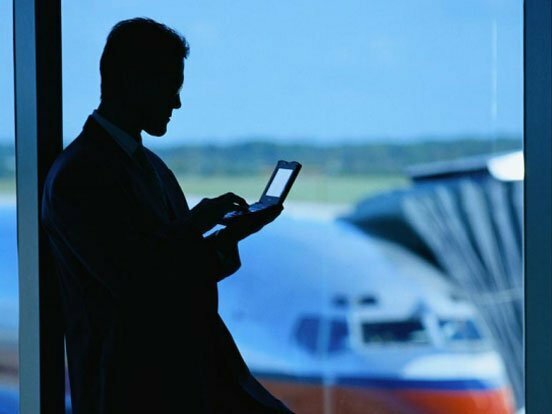 Airlines and airports can provide travellers with information-on-the-go with NFC’s. It’s all about the internet of your things. But with great technology comes great challenges. Look before you leap: The speed at which technologies and the environments in which they are applied are evolving, means the threat of keeping assets secure is not soft, but quite clear and present. When one is acquiring massive amounts of data, or shifting processes or integrating new technologies, there is a bigger risk at stake – data security. Take for instance the Sony hack or one of the largest OTA, Booking.com hack. As data implodes via social, mobile and cloud, there isn’t anyone who can keep their blinkers on. Businesses in particular are highly susceptible to attacks from terrorism, hackers and even political quarters. The security detailing will need to span IT operations, applications, and infrastructure. The critical action point for managers is to prepare and have a plan ready as new vulnerabilities and zero-day attacks get attempted every day. Network defenses must constantly adapt.